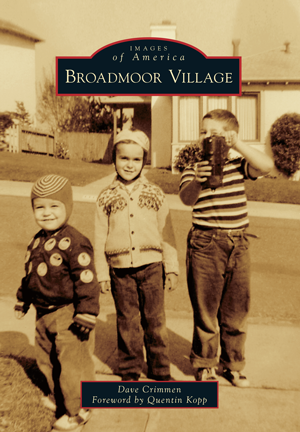 Broadmoor Village, the little community that embodies the American ethic of independence, survives despite neighboring annexations, budget crises, and even Mother Nature. This subdivision was built in San Mateo County by the Stoneson Company just after World War II, targeting returning veterans and their families. Established before Henry Doelger made neighboring Westlake, Westmoor, St. Francis, and other communities since annexed by Daly City, Broadmoor has repeatedly chosen to stay unincorporated and independent. This attitude has shaped Broadmoor through the years to assert its autonomous stature while surrounded by larger cities.